homeBLOGWhere are the best bakeries in Reykjavík? Where are the best bakeries in Reykjavík? Life’s too short for boring bread and tasteless cakes. In Reykjavík, there are many bakeries but we believe that some of them are better than others. 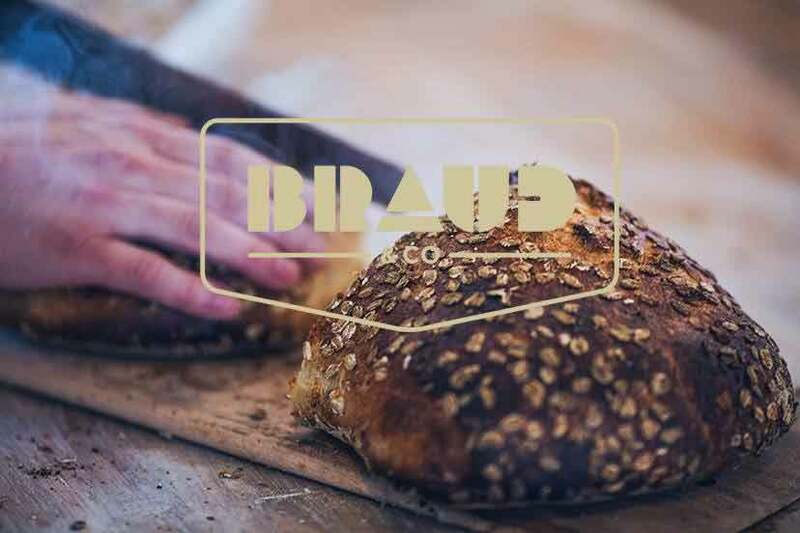 If you’re a fan of sourdough, Brauð & Co. organic sourdough bakery is a mandatory stop for you. 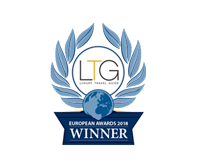 Their bread is of very high quality and they have fun and innovative buns, Danishes, croissants and lots more. Brauð & Co. hasn’t been around for very long but they’re expanding rapidly since the people of Reykjavík love their products. If you’re heading to the newly opened Hlemmur Food Hall (highly recommended) make sure to stop by Brauð & Co.’s stall for a nice liquorish bun. They also have bakeries in Klapparstígur and Fákafen. When you hear that a bakery has been open since 1834, you know it’s good. 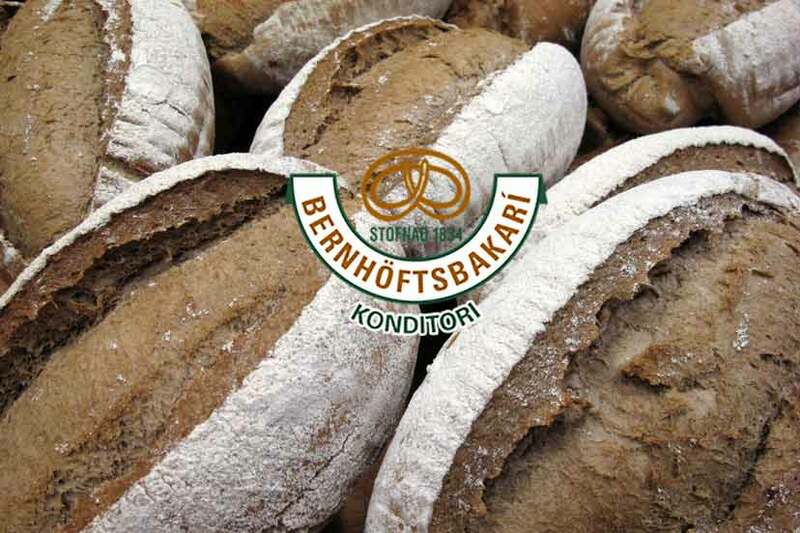 Bernhöftsbakarí has been around for almost 200 years and it’s a great place if you want to taste traditionally baked breads, cakes, pastries and more. Tönnies Daniel Bernhöft, a German baker moved to Iceland and opened the bakery in 1834. In those days, the mostly baked traditional breads but later added sweet pastries and cakes. Bernhöftsbakarí recently moved to Klapparstígur 3, not far from Harpa conference hall. 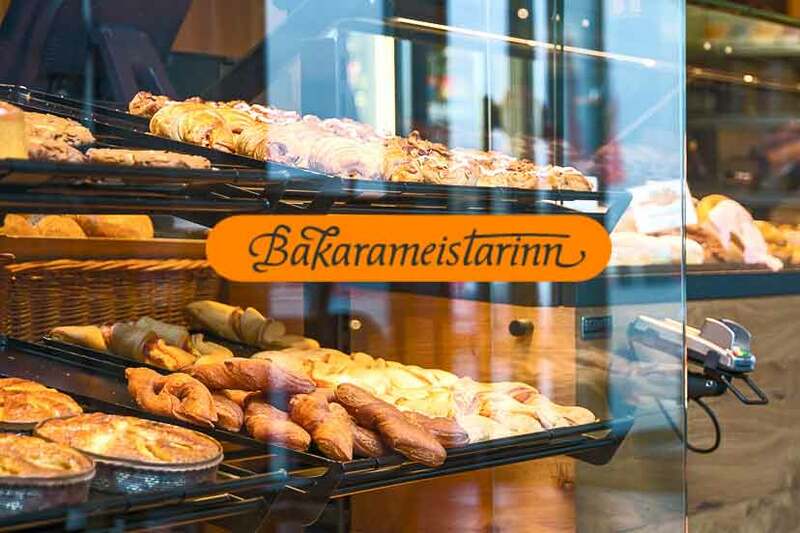 You´ll find Bakarameistarinn bakeries and cafés filled with customers all over Reykjavík. 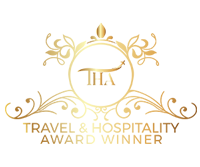 The reason is simple: they have great products. Stop by for a nice cup of coffee and a Danish, or grab one of their famous cheesy asparagus rolls for lunch. You´ll be glad you did. 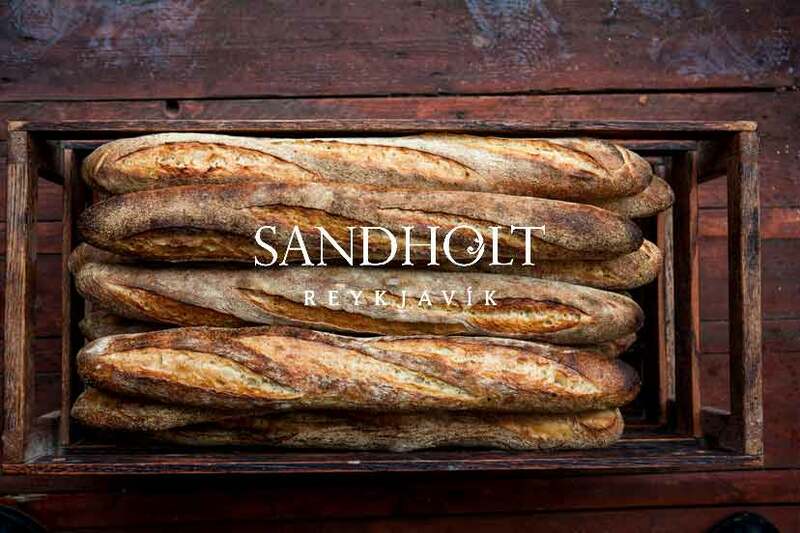 If you walk down Laugavegur, you´ll probably see Sandholt bakery. It’s another old bakery, opened in 1920, but don’t be fooled by its age. The bakers there like to develop new products and aren’t afraid to step out of the box. They always use real butter and fresh eggs, and try to make as much as they can from scratch, like sour cream etc. They have a great variety of products like sourdough bread, pastries and even ice cream and chocolates.